Bad information has a way of seeping into the mainstream. It's far too easy to get caught reading and implementing nutrition 'facts' that turn out to be wrong! Get the right information so your health is never at risk. Post-natal nutrition is important for new moms. Although we know we should pay special attention to our post-pregnancy diet, it's difficult to devote the time and effort. Too many women overlook their health in favor of doing whatever is easiest. While the easy plan might save you some time, it's not going to give you the best long-term results. Remember, too, if you're breast-feeding, what you eat, your baby eats. It is common for new mothers to skip meals, often because their newborn is their preoccupation. Of course, some women think skipping meals is an easy way to lose weight. However, if you skip meals, or go too long between meals, you will more than likely overeat when you finally get a meal. The net result is usually weight gain, not loss. After having a baby, "tired" may feel like your new status quo, which makes junk food tempting. 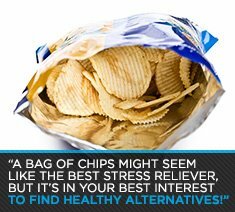 Lying on the couch with a bag of chips might seem like the best stress reliever, but it's in your best interest to find a healthy alternative! 3 / Prepare to Succeed! Being organized is always difficult—but even more so with a newborn! That which took 10 minutes nine months ago may now take an hour. Although food preparation might seem like an impossible task, planning your meals and preparing them for the day or week ahead will keep your fat loss on track. Many mothers make the mistake of not eating enough good fats. Every cell in our body is made up of a lipid (fat), so it's essential to increase the amount you eat for energy and nutrition. The increased healthy fat levels will also provide the extra calories and nutrients you need for breast-feeding. Drinking water is necessary to burning fat. When your cells are fully hydrated, they function most efficiently and burn more calories. Drinking water all day will help you feel fuller, more hydrated, and better energized. To get the most nutrition from your food, try to buy it as fresh and natural as possible. If it's created in a giant factory, it's definitely not something you want to put in your body. There are man-made chemicals and by-products that aren't going to help you lose weight. If you're breast-feeding, put the most nutrition in your breast milk by eating whole food. There's no reason to eat it. Sure it tastes good, but your body just doesn't need it. Mother Nature doesn't refine her sugar. If you have a muffin and a glass of juice for breakfast, you're not going to have the sustained energy you need to get through your long days! Simple carbohydrates translate into extra pounds. Carbs like white potatoes are too easily processed by your body and lead to quick spikes in blood sugar. They have almost no nutritional value and most people eat way too many. Drinking your calories is a bad idea. It's much better to hydrate with water and to fuel with whole, nutrient-dense food. Although it seems like one Coke won't kill you, those extra 200 calories per day can add up quickly! 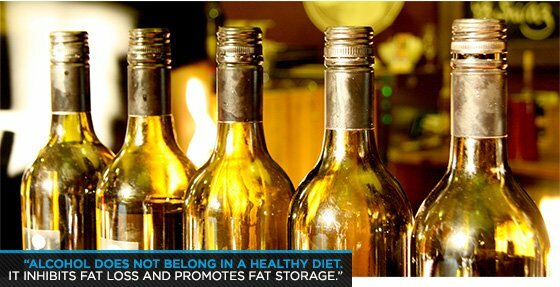 Alcohol does not belong in a healthy diet. It inhibits fat loss and promotes fat storage. While you're working on your Fit Mommy body, don't imbibe. Okay, that's enough "don't." It's time for some "do." Contrary to popular belief, your body needs fat to run efficiently. Healthy fats from olive oil, flaxseed oil, avocados, and nuts help nutrient absorption, nerve transmission, and cellular health. Every meal needs to include lean protein and veggies. You get the most nutrition in the best ratios by eating lean meat and green vegetables. You can get almost all the nutrition you need from food. However, supplements can help fill in those little gaps. We suggest that every new mom takes high-quality multivitamins, Omega 3 oil, liquid chlorophyll (to promote internal cleansing), and a probiotic (to aid digestion). Fitness expert Kelly Rennie is a personal trainer, model, mother, and author who owns 2 successful gyms. She specializes in pre/post natal exercise.